Welcome, April. Great news. 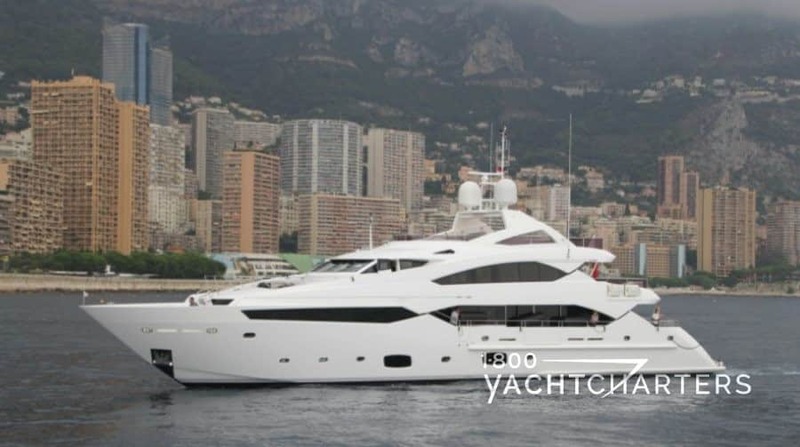 Open charter dates on award-winning CMN yacht CLOUD 9 are nearly sold out for the 2011 summer Mediterranean yacht charter season. 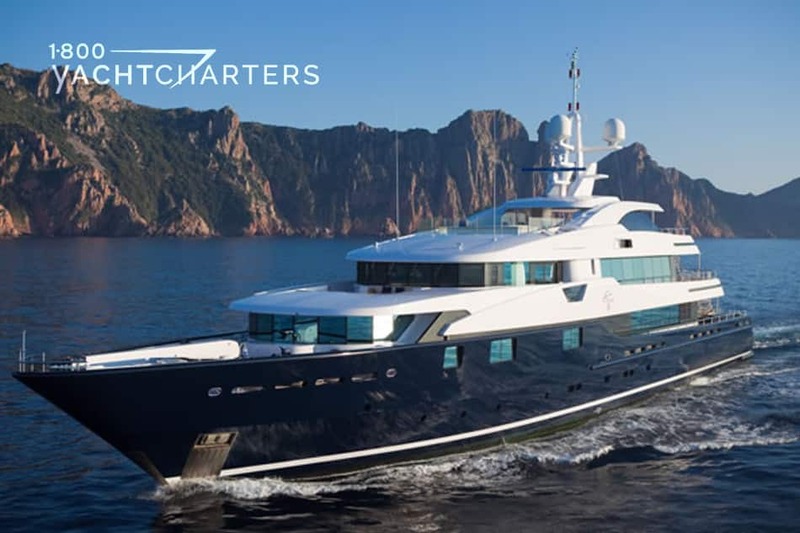 With Indian Ocean yacht charters behind her, the yacht’s owner is keen to fill the last remaining calendar weeks for summer. She moves to Croatia in August, with available dates from August 16 in the area of Split, to September 7 in Athens, Greece. Clients travel anywhere in Croatia and Greece during this period – with no delivery fees. The weekly rental rate in July and August is € 357,000, plus all expenses. A CMN 2009 yacht, she has the classic blue hull and white superstructure. Yacht CLOUD 9 sets the scene for a truly nautical and contemporary superyacht. Her interior is enriched with warm woods and subtle blue and cream tones. The yacht interior also combines natural materials and textures into a formal but relaxing environment. The yacht has modern communications systems and an extensive watertoys list. 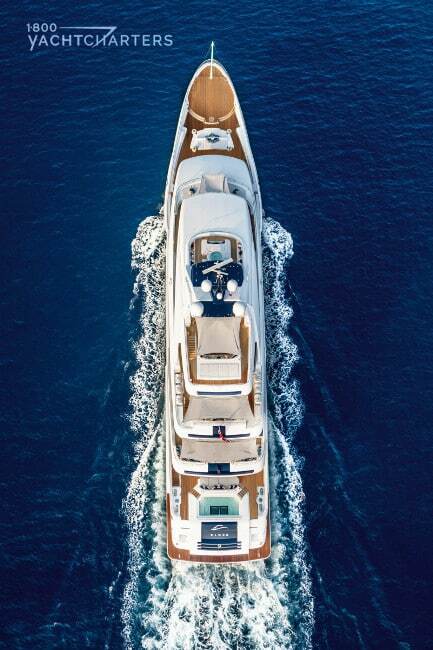 The most discerning charter clients love this yacht. 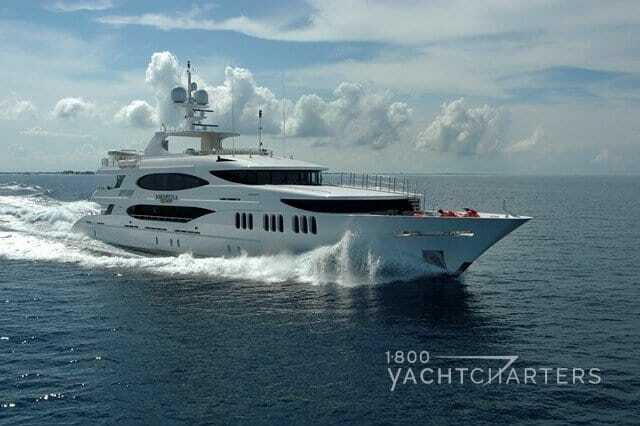 Hurry and book mega yacht Cloud 9 now by clicking https://www.1800yachtcharters.com/book-now-contact-us/ ! 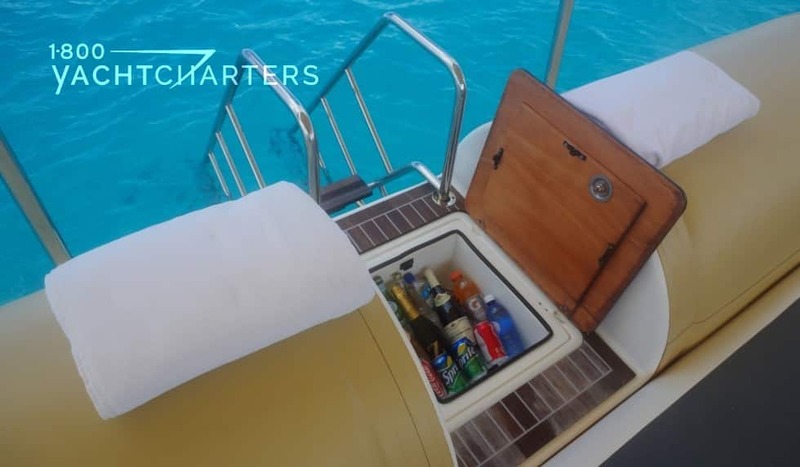 The myriad of recreational toys offered by private yacht charter vessels continues to grow each year, as more and more yachts continue to battle for the same handful of HNWI for whom yachting is a lifestyle, not a once in a lifetime adventure. Gone are the days when a yacht only carried a windsurfer and some snorkel gear. 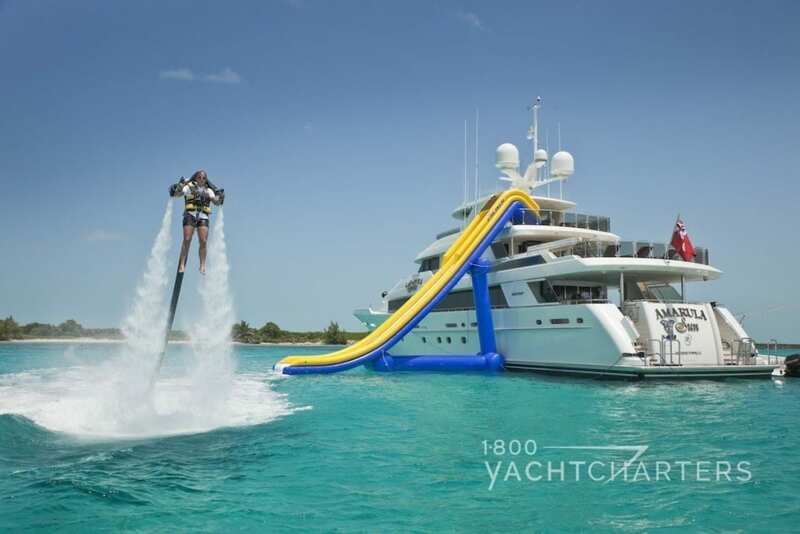 Today, the onboard watertoy inventory sheet on most superyachts reads like a wish list from the Hammacher Schlemmer Christmas catalog. Jetlev hover boards, giant waterslides, even mini submarines are now the norm. While most of the toys have straightforward names that define their intended use (for example, stand up paddleboards, water skis, etc. ), some have downright funny names, associated with foods that come to mind when looking at the toys. DONUT – There are actually several types of donut watertoys. 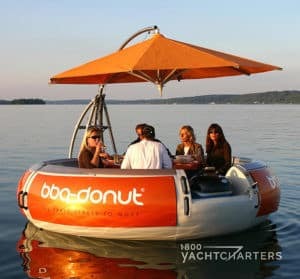 The most common ones look like giant tire inner tubes, hence the term, “donut.” A totally new “spin” on the water donut is the BBQ Donut, where several people can sit inside a floating donut-shaped vessel, complete with sun awning and bbq grill. 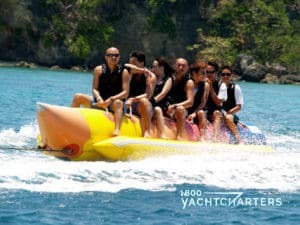 BANANA – This colorful towable toy is pulled along by the charter yacht’s tender. It’s all about a fast, bumpy ride. Bananas aren’t typically “fast food,” but this banana fits the bill! Depending upon the size of the banana, some carry 2 riders, and some six or more. Hang on tight – falling off at high speed can sting a bit when you splash into the water! 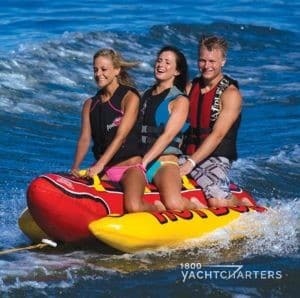 HOT DOG – Take a towable banana, paint it red, and add a couple “buns” to the sides and voila, you’ve got a towable hot dog watertoy. The inflatable buns actually perform a purpose – by adding extra stability to the toy. In other words, you don’t fall off as much as you do on the banana…but hey, falling off is part of the fun! BROWNIES THIRD LUNG – ok, so you don’t really “ride” this one. Work with me, here – it’s a watertoy, and its name sounds like food! This is basically an air compressor situated in a floating donut. (If you’d like, we can refer to it as YET ANOTHER TYPE OF DONUT WATERTOY!) The compressor pumps air into long tubes that tie into a snorkel mask. Swimmers wear the mask and breathe fresh air, allowing them to do very shallow dives, while safely tethered to the floating compressor. It’s a great way for novices to experience the sensation of SCUBA diving while snorkeling in shallow water. 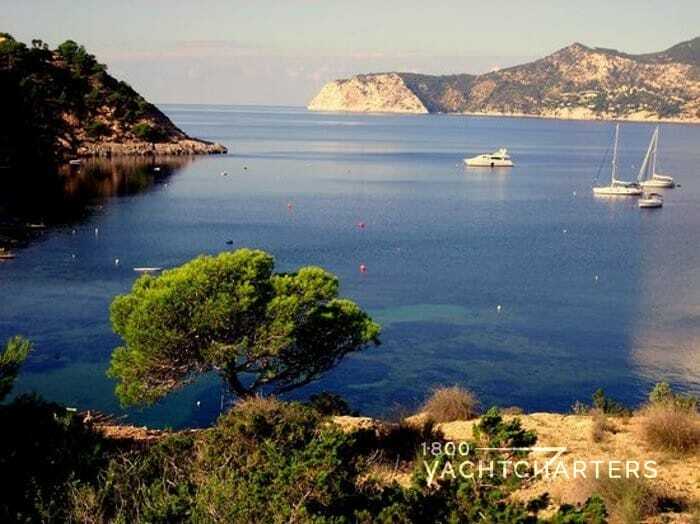 If saving 30% on a Balearic Island superyacht experience sounds too good to pass up, it probably is! 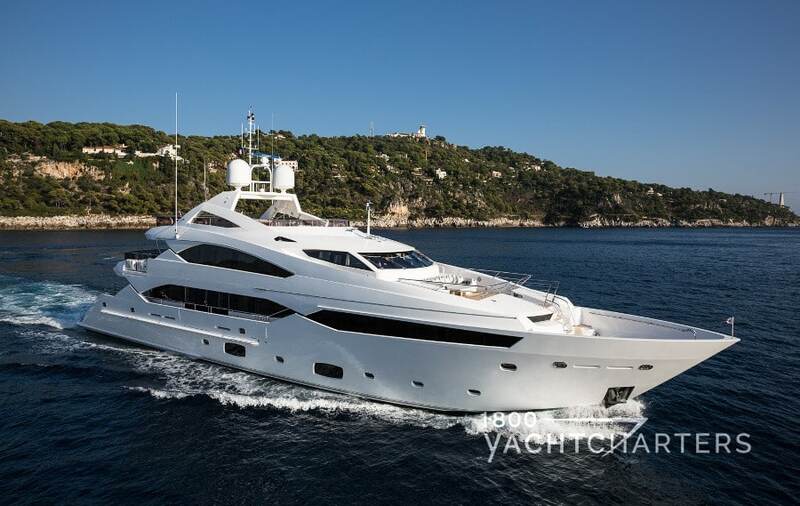 Award-nominated Sunseeker 131 motor yacht THUMPER is running an exceptional 30% discount for charters taking place as of the 7th of September to the 27th of September, 2016 in the Balearics, starting from Ibiza. She offers accommodations for 10 guests in 5 staterooms. The tourists have all gone home, but the weather is still warm and sunny in Spain. Save over €46,000 Euros. …and YES – superyacht Thumper IS the motoryacht in the 2016 film, “Absolutely Fabulous: The Movie,” featuring Jennifer Saunders, Joanna Lumley, Julia Sawalha, Jane Horrocks, June Whitfield, Mo Gaffney, Christopher Ryan, Stella McCartney, Kate Moss, Jerry Hall, Bruno Tonioli, Jon Hamm, Perez Hilton, Joan Collins, and others. Chic beach clubs, iconic sunsets, fabulous Mediterranean food and stunning scenery await you in Ibiza, Palma, and Mallorca. 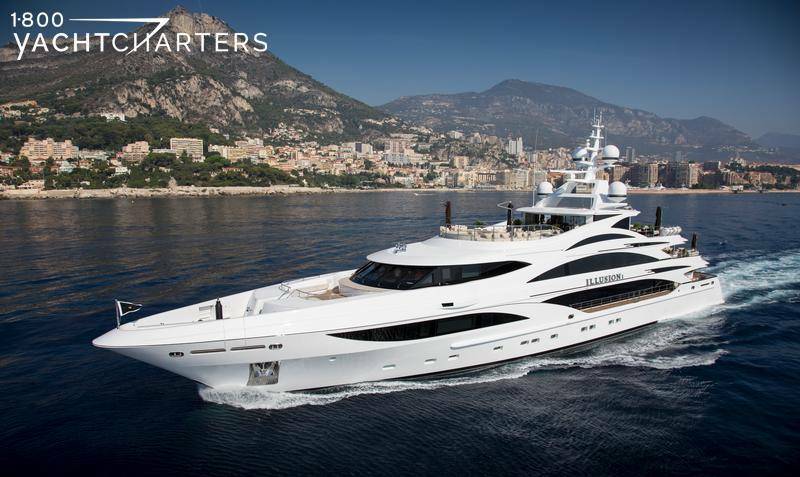 Super yacht THUMPER is a magnificent combination of performance and custom design with a cool & relaxing interior. Sumptuous textures, stylish art features and a clever layout including side balconies, create spacious living areas. Her vast sundeck with Jacuzzi, sun loungers and seating areas is the perfect place for relaxation and entertaining. When not enjoying the exquisite cuisine and service onboard, guests will be kept active by her plethora of watersports toys. can now do so by offering use of a portable sea cabana. Designed by the USA-based ParrLuxe company, the cabana is intended as a solution to the problem of guests on large charter yachts having to walk up several levels to sunbathe, and then down the same levels to access a swim platform for a dip in the sea. With room for 15 to 20 people, the cabana inflates in 15 minutes from a small air compressor, and comes complete with wraparound seating, a stainless steel swim ladder with teak steps, and a rigid carbon-fiber canopy frame. ParrLuxe also offers a cabana with a natural swimming-pool option – a net-covered hole in the floor of the cabana lets in sea water, while keeping out jellyfish. ideal for children to use. The “Sea Cabana” is available in black, white, and turquoise, and is priced at $35,000. Take a fabulous vacation on a yacht loaded with the latest new gadgets and watertoys. 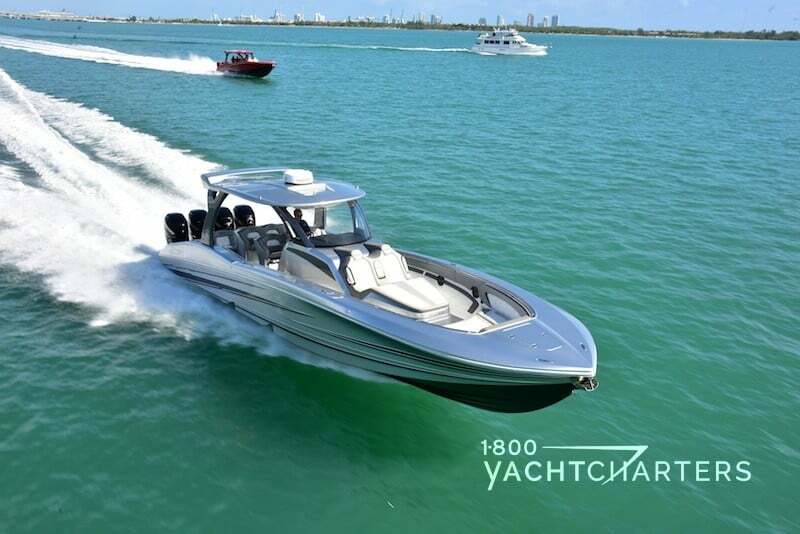 Contact 1-800 Yacht Charters at https://www.1800yachtcharters.com/book-now-contact-us/ TODAY! Surprisingly, not an eyebrow was raised nor a snicker made by any of the guests at the funny name. These were repeat charterers, and they knew. 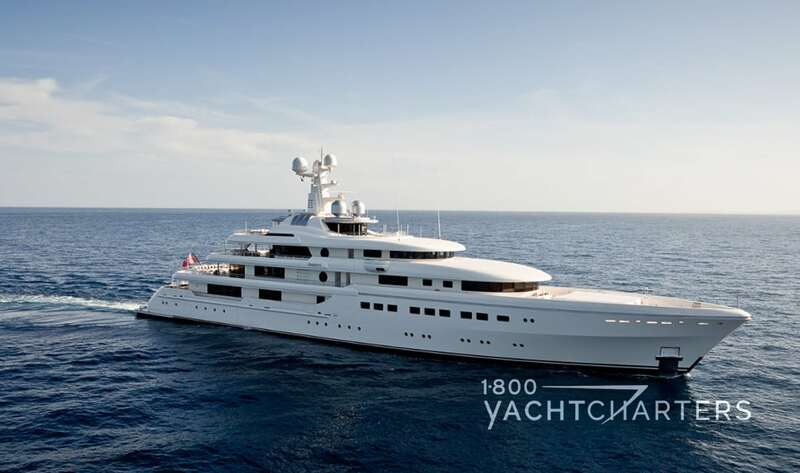 A”banana” is one of the reasons that they chose to charter this Feadship yacht. 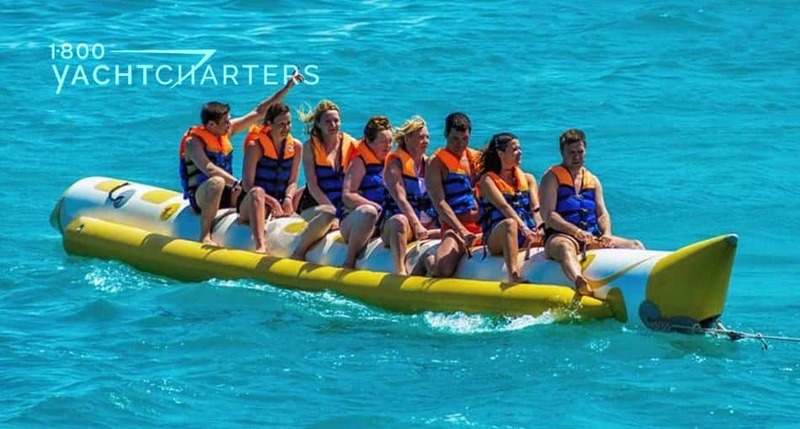 A banana is one of many popular watertoys available on most Caribbean yacht charter vessels. It is a towable toy that is a giant, yellow, floating cylindrical tube, with room for 3 or more fun-loving adventurists. Charter skippers add more new toys to their onboard inventory every season. Yachts used to only carry a couple of fishing poles, snorkel gear, and a windsurfer. 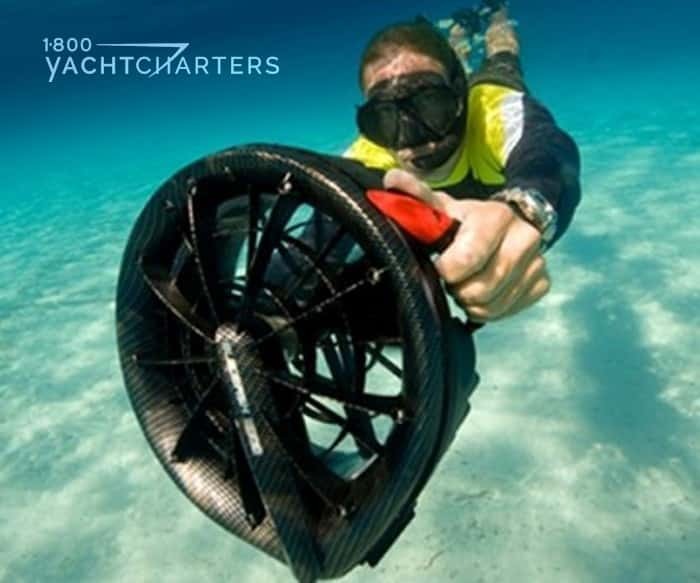 Now, you find waverunners, underwater scooters, and multiple towable toys onboard the typical vessel for hire. 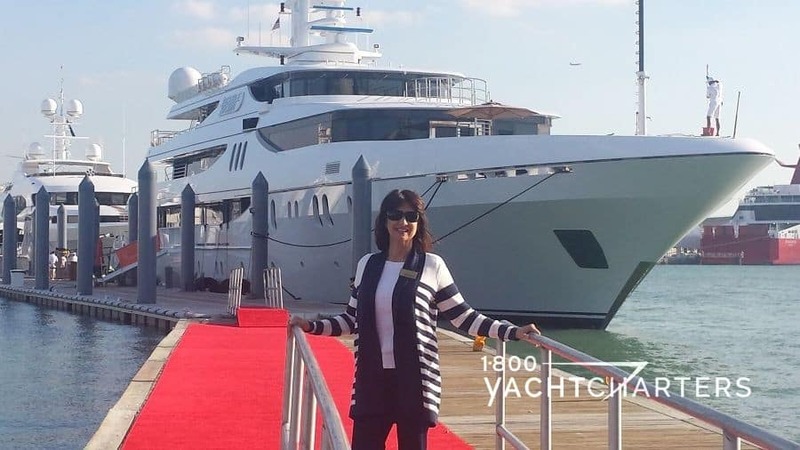 Jana Sheeder, President of 1-800 Yacht Charters, maven of an international private yacht charter agency, comments. The onboard toy inventory of Oceanco motor yacht SEVEN SEAS reads like a Hammacher Schlemmer catalog. The yacht carries multiple watertoys. Just a few, for instance, are 3 tenders, 4 waverunners, windsurfers, paddleboards, kiteboard, kneeboard, wakeboard, snorkel gear, and multiple Aqua Slides. The 81 meter Feadship motor yacht AIR keeps pace with yacht SEVEN SEAS by including among her toys: 2 Laser sailing dinghies, 4 Kayaks, SCUBA gear (certified divers only), and 4 BladeFish underwater scooters. Sheeder is grateful her yacht owners continue their pursuit of bigger, faster, more unique toys. Are you ready to charter a mega yacht with onboard toys like the banana, Bladefish underwater scooters, segways, and submarines? Contact 1-800 Yacht Charters HERE to book your vacation now!